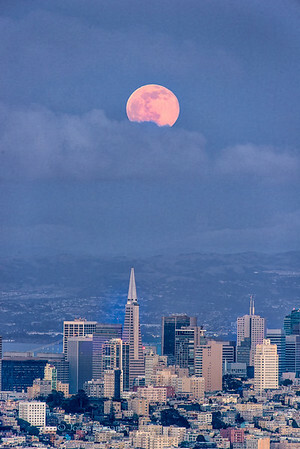 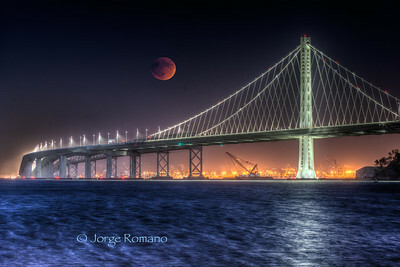 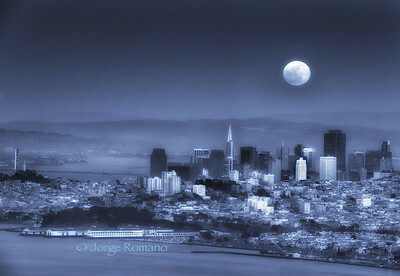 Full Moon over San Francisco. 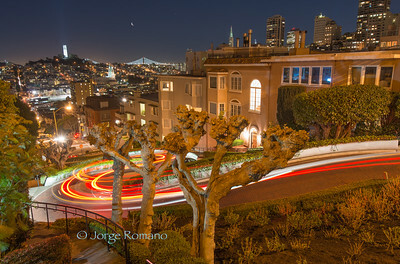 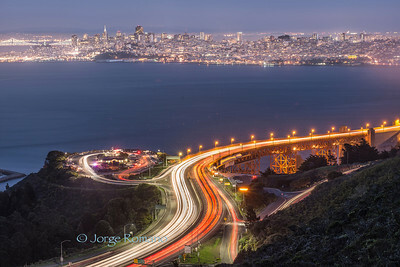 San Francisco Lights and Trails. 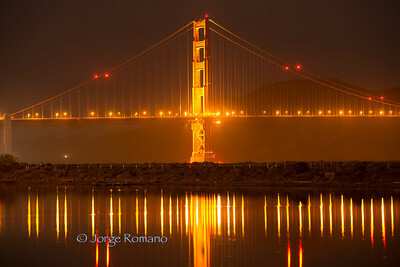 Golden Gate Bridge with Lagoon. 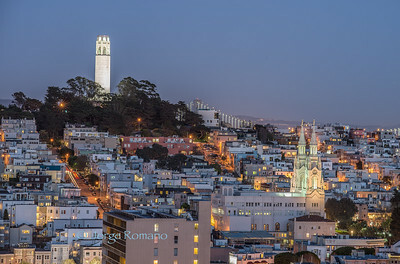 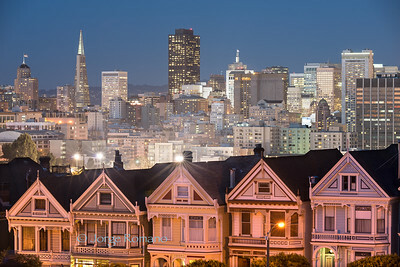 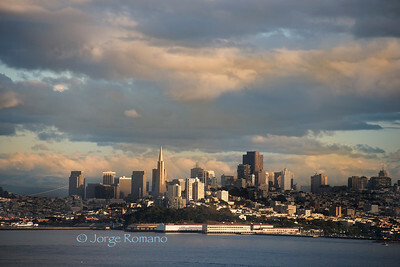 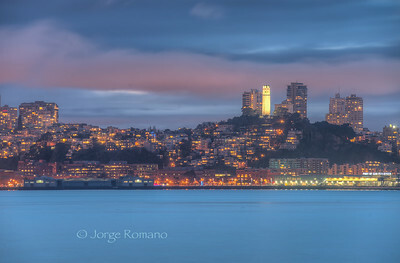 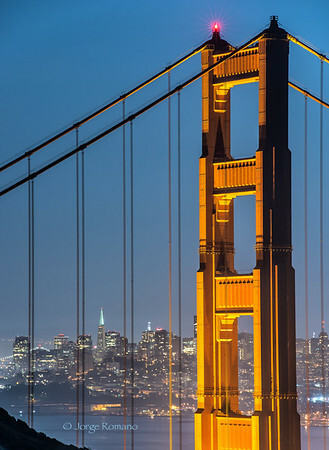 At the moment i created this image, there was no wind at all, which is really unusual for this part of San Francisco which is usually cold and windy. 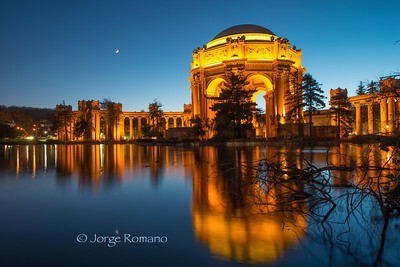 The bridge is reflected on the lagoon right next to Crissy Fields. 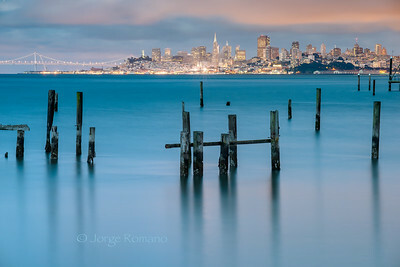 I was very lucky to be there at the right time because this calmness only lasted a few minutes. 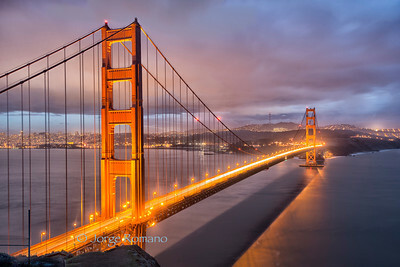 The Bridge and The City.